Karen Senteio, Newington, CT, USA | The Secretan Center, Inc.
Karen Senteio is a professional Coach U™ trained Life Coach and CEO of VERVE, Life Reinvention Coaching Services. Karen partners with individuals and groups to make purposeful changes to create inspirational lives that reflect personal values, goals and priorities. 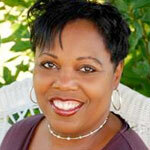 She specializes in reinvention, stress and time management. She is a certified Higher Ground Leadership® Pathfinder, a certified Oasis in the Overwhelm© facilitator and a published author on Ezinearticles.com, Slow Leadership and other publications. She is a member of the International Coach Federation (ICF), the ICF Connecticut Chapter and the Connecticut Collaboration of Professional Coaches. She has a Bachelor of Science degree in Business Management from Albertus Magnus College and holds the international PMP certification (Project Management Professional) from the Project Management Institute. Karen lives is Newington, CT with her husband Andre. She enjoys writing, reading and creating an annual garden that breaks all the rules. Work with Oprah on a project!